As part of the deal Lynas branding will appear on our Home & away shirts for the next 2 seasons. In an added bonus for supporters, Lynas Food outlets are offering ‘Friends & Family’ discount cards for all COLERAINE fans, these are available from the club shop from tomorrow on presentation of your Season Ticket or Match Day SmartCard. These can be used in any Lynas Food Outlet across the country. 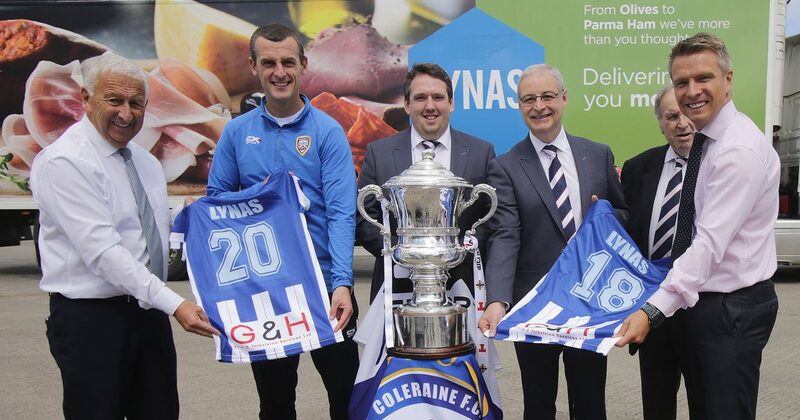 Simon Magee, director at Coleraine Football Club, admits the Stripes are looking forward to working with Lynas’ and are appreciative of their contribution. “As a club we are delighted to welcome on board Lynas” he said. “We look forward to working with them in the next two years. It goes without saying that they are a massive local company who provide first class food and non-food products. Lynas are a massive part of the community and major local employer, with many Bannsiders amongst their staff. Lynas’ aim is simple, to serve their customers with the best product and the best service they can provide. That vision has seen Lynas evolve into one of the largest family operated Foodservice Companies in Ireland and Scotland. Lynas Foodservice, through 3 generations of the Lynas Family, now has over 5,000 customers and offers over 6,000 products across frozen, chilled, ambient and non-foods on 1 invoice and 1 delivery. Andrew Lynas, who is the managing director at the firm, was equally as delighted at the news. 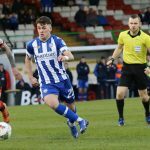 “We are really happy and excited to be getting involved with Coleraine FC,” he continued. 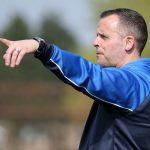 “To be able to support such a community club, on the back of such a fantastic season last year is great and I think they are onto something special for the next few years. “It is great to be a part of it and there are so many good news stories about Coleraine and we want to get them out there. 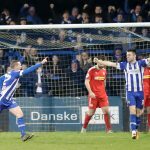 “There are more Coleraine fans employed by us than I realised and our staff have been really excited since we announced the partnership. “Not only for the community, but for our staff this is a positive message to say that we want to support the team and watch them have more success.